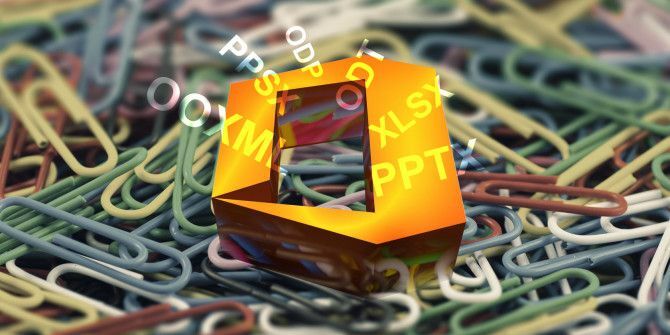 DOC, XLS, PPT — let’s see what lies beyond these Microsoft Office file types that we have been using for ages. Have you paid attention to some of the unfamiliar file format options that pop up in your office suite when you try to save a file? Or have you received files from someone in one of these formats and found the files “unreadable”? We’re here to tell you more about those strange-looking file types How To Open Strange File Types In Windows How To Open Strange File Types In Windows Computers know thousands of different file formats. Sometimes, both you and Windows are clueless as to how to open a strange file. Here is how you can figure out how to open those files. Read More . Note: The file format options available to you might vary depending upon the office suite you use Which Office Suite Is Best for You? Which Office Suite Is Best for You? You'll be pressed to find an occupation that doesn't require word or number processing of some sort. And you may wonder, is Microsoft Office really the best solution? Here are your options. Read More . Online office suites typically have fewer options. Microsoft Office — the original office program — has them all. 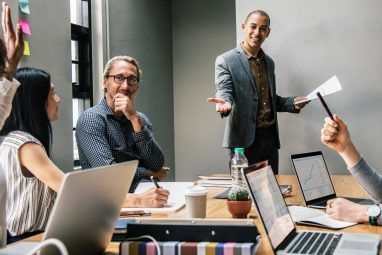 Before we explore various file formats, let’s take a quick look at some “Officespeak” that will come in handy when you’re dealing with Office programs. Take note if you aren’t familiar with these terms already. 1. Legacy file formats: These refer to file formats that are no longer being developed (but might continue to be in use). 2. OOXML or OpenXML: OOXML stands for Office Open XML — a file format that Microsoft introduced in 2007. Don’t confuse it with Open Office XML, which was a file format developed as part of the open-source office suite OpenOffice. 3. Workbook: A workbook is just an Excel file that contains one or more worksheets or spreadsheets. 4. Macro: A macro is a tiny program that can help you automate repetitive tasks in Excel. When you record a macro, it’s like you’re creating a sequence of instructions using keystrokes and mouse actions. Once you save and run the macro, it executes that sequence without asking for your input. 5. Add-in: An add-in extends the functionality of your Office program with some useful extra features. For example, this Office 2003/XP Add-in [No longer available] allows you to remove hidden data (such as comments) from documents. This set of file extensions, which happen to be in OpenXML, became the default in Microsoft Office 2007, replacing the DOC, XLS, and PPT formats in Microsoft Word, Microsoft Excel, and Microsoft PowerPoint, respectively. If you have always used DOC, XLS, and PPT, this new set might take some getting used to. As Mac user, I'm tired of dealing with conversion issues at conferences. .xlsx and .docx have it figured out, why not you? You’ll notice that files in the newer formats are smaller in size than the corresponding ones in the legacy formats. That’s because they come with a lossless compression mechanism. To share these files with people who use older versions of Microsoft Office, you can choose to save the OpenXML file in the corresponding legacy version via File > Save As. If you’re running a pre-2007 version of Microsoft Office You Can Still Buy Microsoft Office 2003 Online & We Show You Where You Can Still Buy Microsoft Office 2003 Online & We Show You Where While Office 2016 is being rolled out, some people are still longing for Office 2003 instead. Here's how to get your 2003 fix. Read More , you can view and edit OpenXML files easily by installing this Microsoft Office Compatibility Pack [No Longer Available]. Or you could let Saikat convince you to upgrade to Microsoft Office 2016 13+ Reasons You Should Upgrade to Microsoft Office 2016 13+ Reasons You Should Upgrade to Microsoft Office 2016 Microsoft Office 2016 is here and it's time for you to make a decision. The productivity question is -- should you upgrade? We give you the new features and the fresher reasons to help you... Read More . Some other office suites like Google Docs also support OpenXML formats, so you should have no trouble importing, say, an XLSX file into Google Docs. By the way, these OpenXML formats are essentially zipped files that contain separate folders for media, XML files, etc. This means that you can, for example, view the contents of a DOCX file by renaming the extension from DOCX to ZIP. That’s quite convenient when you need to access an image embedded in the DOCX file without actually having to read the file in that format. This trio of filetypes is in the Open Document Format (ODF), which is a standardized file format that’s free from usage restrictions of any kind. This means that any company can implement this format as part of its software. No wonder ODF is used across various office software, both proprietary and open source, including OpenOffice, Google Docs, LibreOffice, Zoho Office Suite, and AbiWord. If you run Office 2010 and above, you’ll be able to open ODT (for word processing), ODS (for spreadsheets), and ODP (for presentations) files with ease, because these versions come with native support for ODF files. For previous versions of Microsoft Office, this free OpenXML/ODF Translator add-in available on SourceForge comes in handy. Of course, if you want to read a one-off ODF file, you might as well upload it to Google Docs and view it there. You can even download Google Docs files in ODF. Microsoft Office doesn’t support some of its regular features (or supports them only partially) in ODF files. XLSB, which stands for Excel Binary Workbook, behaves more or less like the XLSX format, except that it saves data in the binary format. Its main advantage over XLSX is that the former chops down the file size by a significant margin, and consequently speeds up read-write operations. If you can?t send an Excel file because it?s too big, save it as .xlsb. This will shrink the size! If you want to compress a spreadsheet to save on storage space and make file transfers easier, XLSB is a good solution. You might want to save a test file as XLSB before you use this format on a regular basis. The catch is that XLSB is rarely compatible with office suites beyond Microsoft’s domain, so you’d do well to stick to a universal format like XLS in case you’re planning to share the file that you’re saving. If you know that recipient uses an office suite that supports XLSB, feel free to send it in that format to speed things up. If you receive an XLSB file, do not open it unless you trust the sender, because XLSB files support macros and could contain malicious code. Of course, Microsoft’s default security setting of disabled macros is there to keep you safe, but why invite trouble? PPS or PowerPoint Slide is the presentation mode for PPT (PowerPoint Template) files. 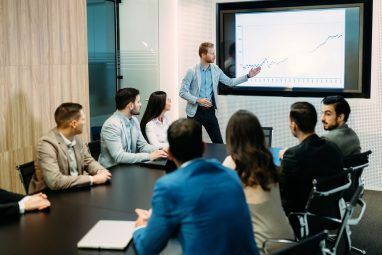 This means that when you click on a PPS file, it’ll open as a slideshow directly — quite convenient when you want to launch into a presentation without fumbling around to get to the slideshow option. Tip top tip for making people think you're a wizard: rename your PowerPoint files so they end in .pps before your presentation. A PPS is non-editable i.e. view only if you open it by double-clicking on the file. Thankfully, converting a PPS to a PPT (editable) and back is as easy as renaming the .pps file extension to .ppt or vice versa as required. Of course, you don’t need the above conversion to edit the PPS. You can drag and drop the PPS file from Windows Explorer into an empty PowerPoint window. Alternatively, you can use the File > Open option in PowerPoint to open an editable version of the PPS. This applies to editing PPSX files as well. For the PPTX-PPSX combo, the conversions are a tad more complex. You’ll have to open Microsoft PowerPoint, use the File > Open option to open the PPSX file, and then use the Save As dialog to save the presentation file as a PPTX. Speaking of file conversions, bookmark our Microsoft Office file converter guide The Complete Microsoft Office File Converter Guide The Complete Microsoft Office File Converter Guide If you have ever converted a text file, like PDF to Word, you're familiar with the challenge. Sometimes it's as easy as printing, other times you need special tools. Enter this converter guide. Read More for in-depth info on converting between various file formats. If you want a quick and reliable way to view online files in various formats, try a solution like rollMyFile or Docs Online Viewer. If you’re looking for conversion software, we recommend Zamzar. It’s one of our favorite free file format conversion tools How to Convert Any File Format Online with Free Tools How to Convert Any File Format Online with Free Tools If you need to convert a file, here's the ultimate list of sites you should turn to. Read More . 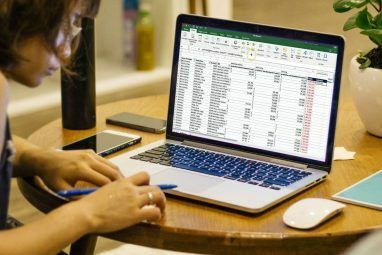 Other Microsoft Office products like Access have their own protocol for saving files, but for now we have chosen to focus on the most popular trio of Microsoft Office: Word, Excel, and PowerPoint. When it comes to office suites, one thing is clear: the core legacy formats in Microsoft Office won’t go quietly. Even in 2016, DOC, XLS, and PPT seem to be the most reliable and compatible formats to save files in, especially if you plan on sharing them with others. Which formats do you save your Microsoft Office files in? Do you often come up with compatibility issues when you share them with others? How do you resolve them? We’d love to know! Explore more about: File Compression, Microsoft Excel, Microsoft Office 2013, Microsoft Office 2016, Microsoft PowerPoint, Microsoft Word, OpenOffice. Correction on one point, pps and ppsx files are editable, I should know, I work with them all the time, the only trick is that you have to open Powerpoint first and then open the file in powerpoint. You also can't just rename a .pptx file to .ppsx (and vice-versa), newer versions of Powerpoint (2010 and up if I recall) will complain bitterly about the extension not matching the format and refuse to open it. The convenience between the 2 however is obvious, pptx opens powerpoint in editing mode, ppsx opens powerpoint in slideshow mode, but both are editable formats. Hi Ray, that matches up with what I have mentioned: that a PPS file is editable, but only if you open PowerPoint and then open it from there and not if you open it by double-clicking. I have an Excel workbook with about 150 tabs saved in .xls format, and takes about 2 seconds to open. Converting to .xlsx saves space but takes about 12 seconds to open! A nice thing about .docx, pptx and xlsx is that these files are really ZIP archives. Rename them to .zip and you can extract embedded material (pictures...) from them, without any loss of quality. Glad to hear you liked the article,Yodi.